Running in Lima, Peru. Best routes and places to run in Lima. Lima, “The City of Kings,” located on Peru’s Pacific coast at the confluence of three rivers, is the country’s capital and largest city. Much of the metropolitan area sits atop a coastal plain, although the terrain does rise steeply into a high chain of hills. Varied geography and good weather makes for some pleasant running in Lima. 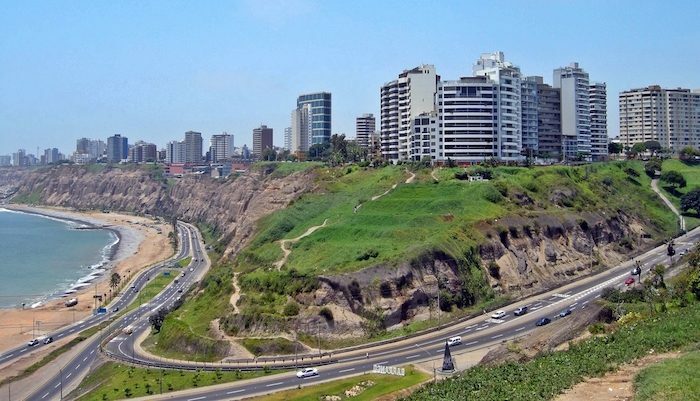 Lima has become an unlikely hub of running in South America, and travelers are often surprised to find terrific routes among the otherwise polluted and traffic heavy city. Though humid, the coastal climate is well-suited for running, and the fairly recent development of boardwalks, bike paths, and city parks has drawn in an enthusiastic community of active locals. Most visitors to Lima will find themselves in the Miraflores/San Isidro area, where the majority of our routes are located. These upper-scale neighborhoods are considered relatively safe, and the focus on infrastructure in these communities makes for a variety of great running. Getting around Lima can be a confusing and chaotic experience. While taxis are readily available and the public bus network is extensive and affordable, driving habits in the city are aggressive and accidents are not uncommon. Luckily, there is so much fun running nearby, most visitors will be happy to travel on foot. 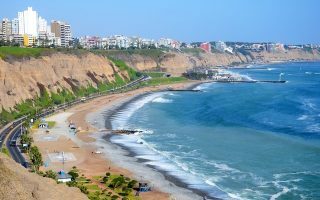 The most popular routes in Lima are along the Malecón (boardwalk) which stretches along Costa Verde, Miraflores, and south to Herradura in two roughly 5 mile sections. 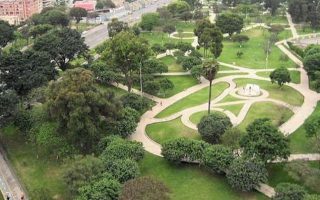 This popular loop around Peru’s military headquarters in the southwest part of Lima runs through nicely manicured gardens and parks. An added bonus: exercise equipment. The perimeter of this park forms a 1.3 mile triangle, but runners can add distance with a few short cross paths, or on the Av. Salverry bike path. A .5 mile corridor runs the length of this safe and scenic park in the San Isidro neighborhood. Do a few laps or add on nearby sidewalks and bike paths. 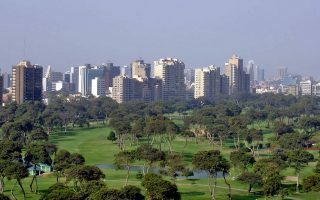 This short loop around the Golf Club of Lima is a go-to run for the Peru Runners group, clocking in at about 3.6 km. Fun runs abound in La Molina neighborhood — trail runners love ascending the area’s tough hills, while pavement pounders can run a mile on the Ruta Raul Ferrero path. This unique hill climb on the south coast of Chorrillos has great views. It’s a short, but somewhat challenging route. Lima has great weather for running year-round. Summers are warn to hot, with average high temperatures in the 22-27C (72-81F) range from October to May. Even in the cooler months, highs average 19C (67F). 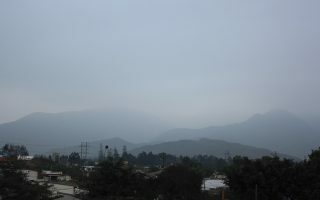 The winter months are decidedly more humid and wetter, while rainfall is not frequent in summer. For running in Lima, you sort of have to ‘find your spots’. We recommend staying close to the water if you can, to access the wonderful running along the El Malecón and Costa Verde waterside paths. 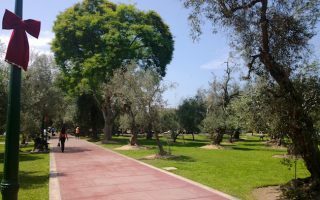 Alternatively, stay in the Miraflores/San Isidro area, which provides access to some of the more pleasant parks and multi-use paths. 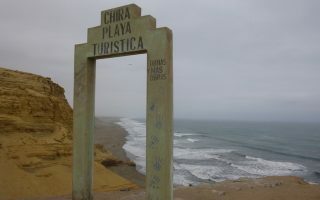 See peru.travel for Lima tourism information. Lima has a growing list of running stores. 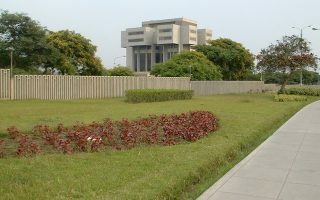 The three independent, running-centric stores in the cit are Peru Runners, near the golf club and Park Olivar, and Marathon and the Coliseum store, both located in Jockey Plaza. There are also outlets for Salomon, Saucony, and Reebok. Lima has a variety of running groups, but two of the most popular are the Peru Runners, and Xplora, which focuses on trail running adventures. The best resource for running races and events in Lima is running4peru.com.